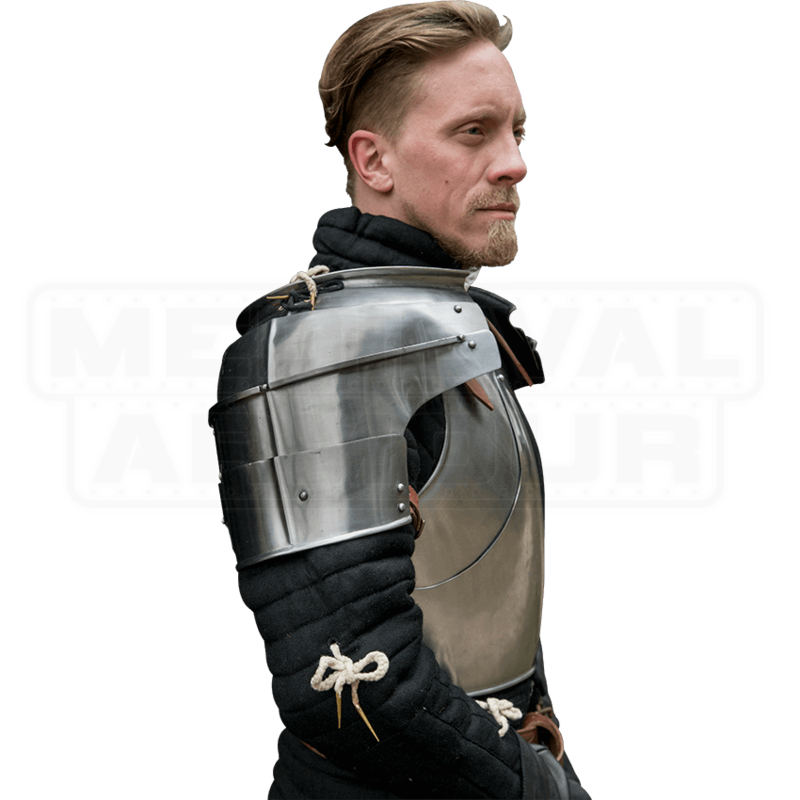 Though they are not the first things you think of when thinking about armour, pauldrons such as the Milanese Pauldrons - Polished Steel play the important role of protecting your arms in a fight. Keep your arms safe and stay alive! 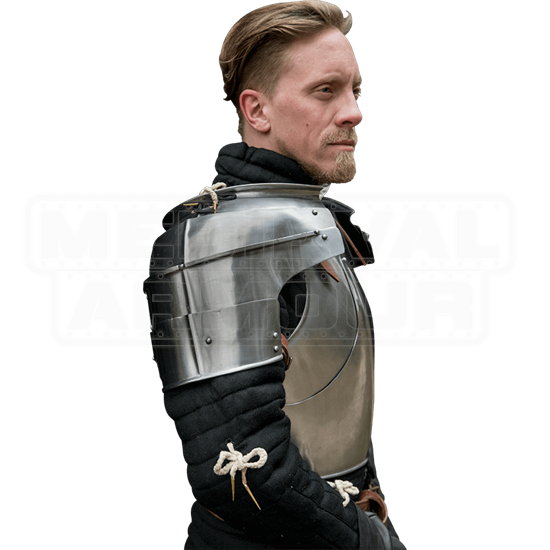 These elegant steel pauldrons are made from polished 19 gauge steel in the fashion of medieval Milan. They fasten to your breastplate through the use of ties and buckles and hug your arms with leather straps. The left pauldron possesses a plate that is pinned to the pauldron and flairs out at the front to act as a sword breaker, while the right possesses a large ridge that serves the same purpose, resulting in an asymmetrical set of pauldrons. Pair them with our Polished Steel Milanese Armour (MCI-3175) to complete the look!